I share with you delicious appetizer recipes. Also I review restaurants I have visited! Wish you were here right now my kitchen smells awesome! Bacon and fried onions amazing! It has been awhile since I made a new appetizer , what a whole week?? 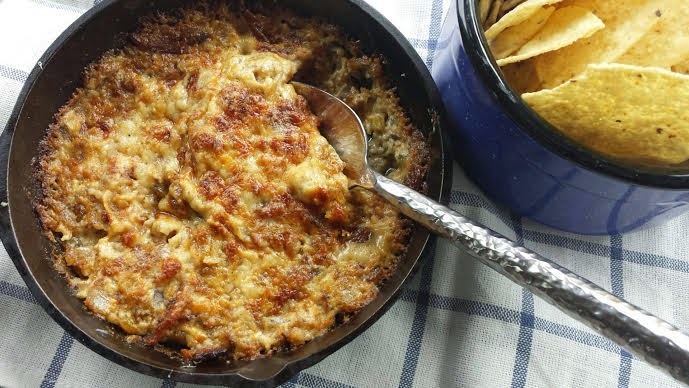 This is a warm comforting dip, you can not go wrong with bacon right? I'm going to give it a shot again this year, I was looking at different seed companies last night trying to plan my order, getting an itchy green thumb! Ummm what was my point? I think I am rambling now. Oh my point was I think we will have some of this appetizer before date night, a nice little surprise for the hubby after a long days work. 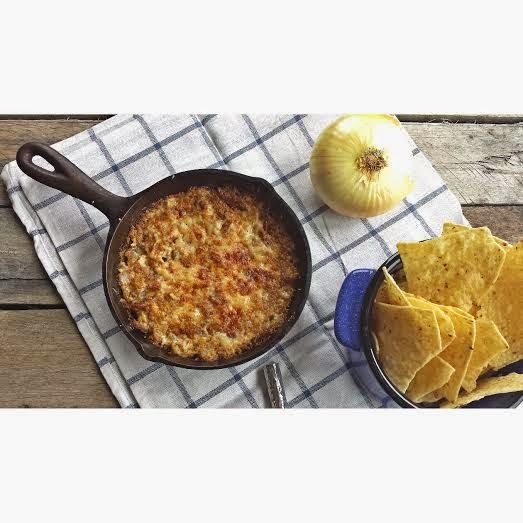 Alright enough rambling on to this wonderful Warm Bacon Cheese Onion Dip! Chop your onions, add that to the butter on the stovetop add your salt & pepper (is the song stuck in your head now too?). Cook that for 10 minutes then add the thyme. Preheat your oven to 400 degrees. Continue to cook the onions for another 20 minutes on low. Now add the wine, and cook another couple minutes. Add your sour cream, yogurt and cheese mix this well. Serve with chips, bread, veggies - whatever tickles your fancy! I know you will love it! This one's going straight on my to do list! Thanks Melinda! We will be snacking on this today (Valentines Day) it's nummy! Come along and share my love for appetizers, restaurants, breweries and travels! I'm a goofball by heart and tell it like it is! Bonus I'm a real life ginger!